We just got back home after spending a long weekend at the Pench National Park. 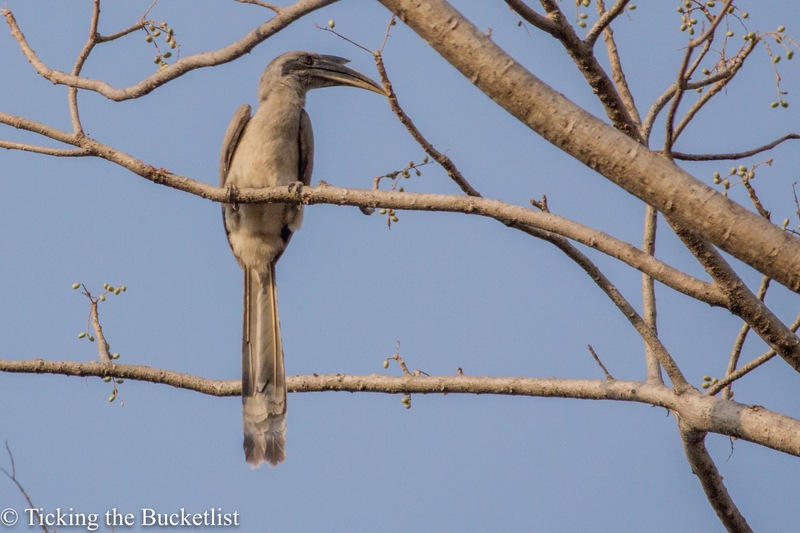 We spent three days at the tiger reserve, breathing in crisp morning air, listening to the birds chirp and watching the sun go down behind branches of dried Sangwan trees. We sighted herds of spotted deer, monkeys, langurs, tigers and leopards. Definitely, a weekend well spent! We took the Air India flight from Mumbai to Nagpur on Friday morning at 625 hrs and the returned by the Indigo flight on Sunday night at 2025hrs. The air tickets for the two of us cost about INR 12,000 (booked two months in advance). Pench National Park has five entrance gates, two from the state of Maharashtra and three (Turia, Jhamtara and Karmajhiri) from the state of Madhya Pradesh, with new gates being opened from Maharashtra. Our accommodation was close to the Turia gate, which is about 120km from Nagpur Airport. Our taxi ….all set to ferry us back! 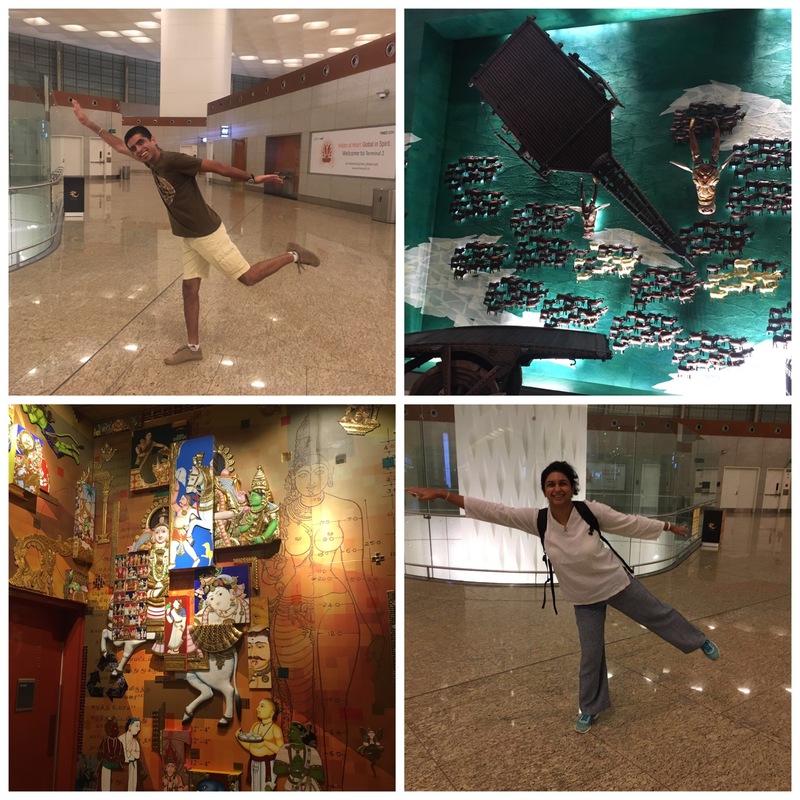 Pick and drop from/ to the airport were arranged by our lodge at a cost of INR 2,000. We had booked four safaris online, starting at the Turia gate. The safari permit for each vehicle per safari is INR 1,370. As we had no one else to share the vehicle, we paid a total of INR 5,480 for all our safaris. Registered safari vehicles need to be hired to enter the park. This can be done by connecting with the officials at the ‘permit booking window’ a few hours before the safari (on the previous day for the morning safari). Alternately, every hotel can arrange for the vehicle by connecting with the forest officials on your behalf, provided you have booked your permit/ the hotel is applying for the permit. We requested our hotel to book the vehicles for us, which cost us INR 3,000 per safari, including the guide fee of INR 300. Note that every vehicle needs to have a forest guide and the guide fee is mandatory. The vehicle, if booked directly with the forest department costs INR 2,000 per safari. 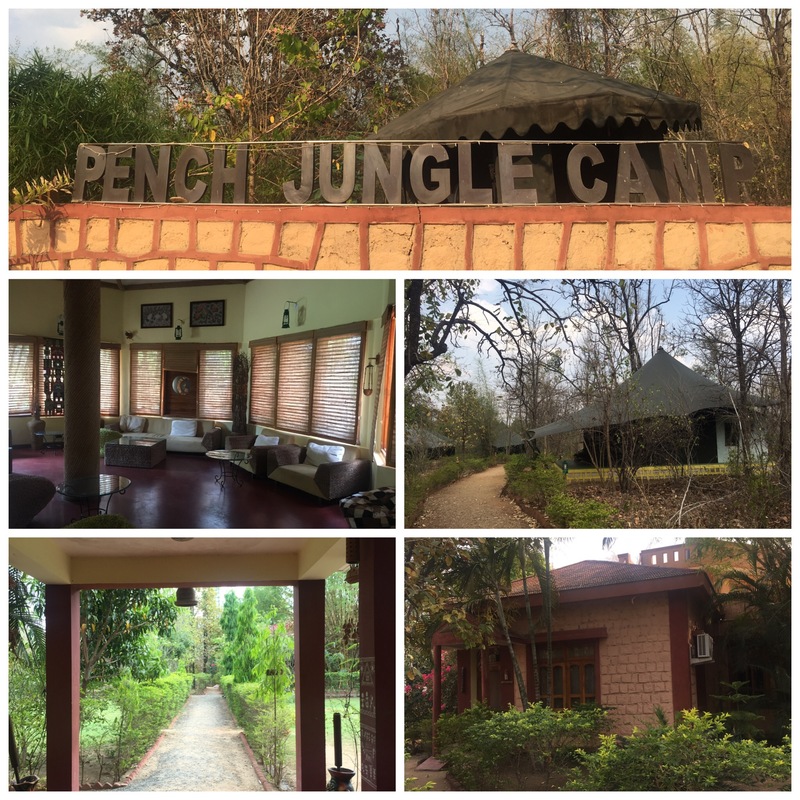 We booked ourselves at the Pench Jungle Camp and enjoyed the ‘jungle feel’ by staying in the tented accommodation, with air conditioner and en suite bathroom. As there are no restaurants around the forest, we opted for a full board plan. The camp was a great choice…clean and well appointed rooms, delicious food and excellent service. The manager and staff went out of their way to attend to us after Ankur had a fall and injured himself a little. 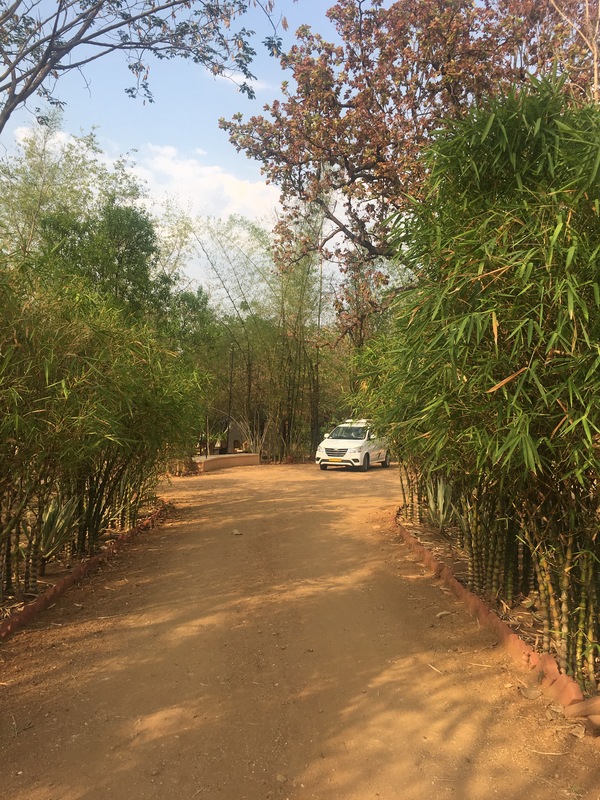 Adding it all up, three days and two nights at Pench National Park cost us a total of INR 52,180…not two much considering that we got to live in Mowgli’s land! That is a lovely deal you got on this trip! I am budget-conscious so I always want to know beforehand how much it would cost to go to a place. It’s definitely worth it when you get to see wildlife in the reserve. I haven’t been to this side of the world, but thanks for your tip I will be adding this to my bucket list! Sounds like quite a bargain for a real safari experience. Great that you got to see some tigers among all the other animals listed in your intro. I’ve been on safari a couple of times and loved it. Firstly, can I just say that we’re feeling super jealous after reading your post! Looks incredible. What a great price for such a once in a lifetime experience, we would love to get to see the animals up close. Added to the bucket list! What a bargain for an awesome experience. So jealous that you got to see a tiger and leopard! What was your favourite part of the trip? I can’t believe that this trip was so affordable! I also love how you broke down the costs so we can really get an idea of what the costs would be. Your accommodations look liked the perfect pairing for a safari, also! I’d totally opt for a luxe tent if I was going on a safari also. You got such a great deal for this tour! It looks incredible! I’d love to see the tigers – we just did a safari in Africa, but they don’t have them there. Added to the bucketlist! What a lovely little escape. I love the fact that the tents had air conditioning and an en suite bathroom! you don’t feel like you are totally roughing it. The flights seemed to be reasonable as well. I went to India in 2013 and can’t believe how much I missed!